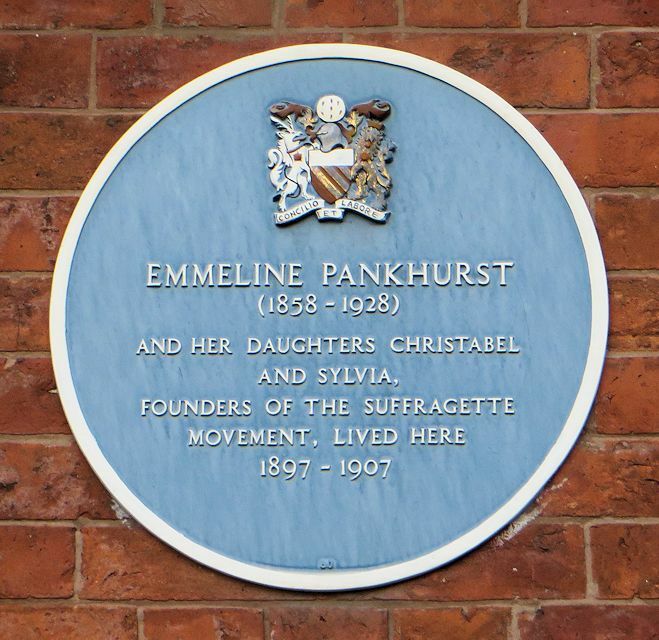 There can be few people who have not heard of Emily Pankhurst – a remarkable lady who courageously campaigned to get women the vote. I was doing some research about the history of Nantwich, when I came across a Mary Pankhurst living in Nantwich. I mentioned this to Peter Jones, who knows more about the history of the area than most, and he said that the two would be related (by marriage). a barrister 24 years older than her. Richard was a barrister who had advocated women’s suffrage, as well as freedom of speech and improving education. Despite their age difference, it’s easy to see why the pair were well matched (although Emmeline’s mum chastised her daughter for “throwing herself” at Richard)! Peter Jones (who’s father had been the vicar of Wybunbury) told me that Richard’s grandfather was Francis James Pankhurst (1785-1857), who was a teacher at Wybunbury. 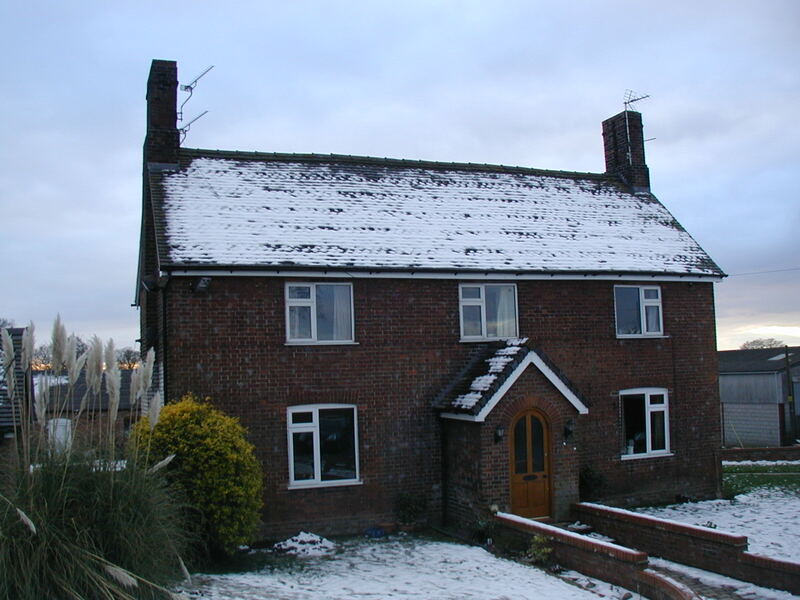 Francis was born in Canterbury, Kent, but moved to Wybunbury after marrying Mary Bowering. My thanks to Andrew Lamberton for the above picture (and, as usual, a load of extra information). Andrew showed me a copy of Bagshaw’s Directory in 1850, which says Walgherton “is a small pleasant village and township in the Nantwich Hundred, 3¾ miles S.E. by E. from Nantwich. Sir Henry Delves Broughton, Bart., is the lord of the manor and sole owner”. Bagshaw’s goes on to tell us that “the hall, an antique residence of timber and plaster, erected in 1681, is now occupied as a farm house. The original hall was a moated fabric, which stood near the site of the present structure. It was possessed by the Cardiffs in 1530. The tithes were commuted in 1842, when £20 was apportioned to the vicar of Wybunbury, and £81 to the appropriator, the Bishop of Lichfield”. Francis and Mary Pankhurst had 14 children. In the 1851 census we find Francis and Mary Pankhurst, with some of their children, next to Brook House (which is at the end of Sally Clarke’s Lane, Wybunbury, just in Walgherton Parish). This is within a stone’s throw of the Delves School where Francis was headmaster. In fact they built a house for him, which was perhaps next door to the school. Their third child, Henry Francis Pankhurst (1808-1873), became Richard’s father. He was born in Clerkenwell (before the family moved to Wybunbury between 1814 and 1817). Henry married Margaret Marsden, on 12 Apr 1830, in Great Budworth in Cheshire. Henry must have moved around a bit! His first child, Harriet Pankhurst, was born in Hough in Cheshire in 1831, and his second child, John Calvin Pankhurst, was born in Blackburn. Emily’s husband – Richard Marsden Pankhurst was born in Shelton in 1834. 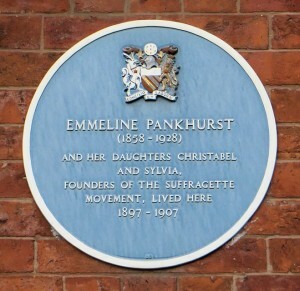 They also had a fourth child, Elizabeth Mary Pankhurst, who was born in 1836 in Stoke-on-Trent. I think that Henry Francis Pankhurst will be the same individual who appears in the London Gazette, on Tuesday 9th June 1840, as being a grocer in Stoke-on-Trent and bankrupt! We next find Henry Francis Pankhurst in the Poor Rate Assessments in June 1849, in the Manchester Rate Books. 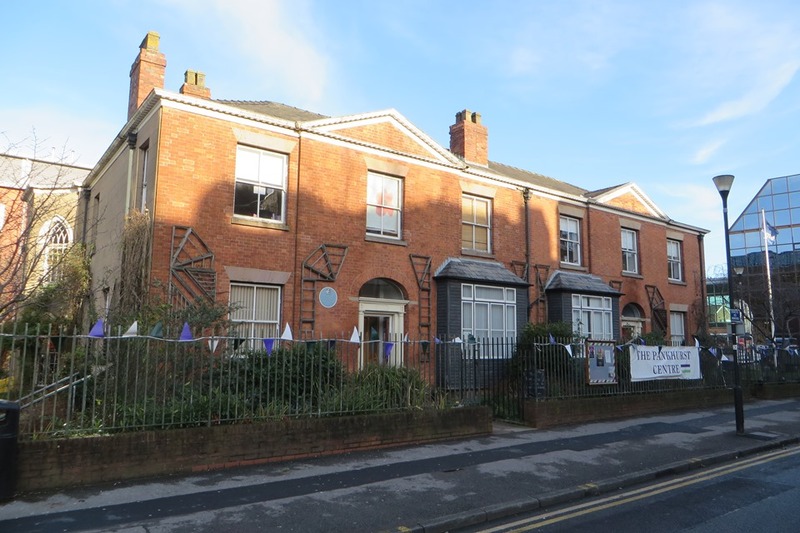 In the 1851 census we find Henry and Margaret Pankhurst with their children: Harriet, John, Richard and Elizabeth at 60 Jackson Street in Chorlton-on-Medlock. Henry’s ocupation is shown as auctioneer and valuer. Richard Pankhurst was educated at Manchester Grammar School and Owens College of Manchester. The Manchester Grammar School (motto “Dare to be wise”) – which I attended 1969 -1976, has always had a reputation for pupils who have challenged the “status quo”. Although being an independent day school, charging fees for its learners, I suspect that Richard (like myself) got a free place as “any boy showing sufficient academic ability, regardless of background, might attend, free of charge”. In 1858 he graduated BA from the University of London and in 1859 was awarded LLB with Honours. He was a founder member of the Manchester Liberal Association, although he was subsequently to fall out with the Liberals. In the 1871 we find Henry, Margaret, and their son Richard Pankhurst, at James Place in Stretford. Richard is shown as “A Barrister In Practice”. In 1883 Richard Pankhurst left the Liberal Party and began expressing more radical socialist views. Richard became known as the “Red Doctor,” and stood for Parliament in 1883 as candidate for Manchester and in 1885 for Rotherhithe, Kent, both times unsuccessfully. Richard and Emmeline Pankhurst had five children and Richard supported his wife’s activities advocating the right of women to vote and to stand for electoral office. In 1885 the Pankhurst family moved to London, and Richard became friends with leading radicals in the capital. At that time they were living with Emmeline’s parents – which caused tensions with Emmeline’s father. In 1885 the Pankhursts moved to Chorlton-on-Medlock. After Richard developed gastric ulcers, the family moved (briefly) to Mobberley, hoping that the country air would help his condition. In 1898 Richard suffered a sudden relapse. Emmeline had taken their oldest daughter Christabel to Corsier, Switzerland, to visit an old friend Noémie. A telegram arrived from Richard, reading: “I am not well. Please come home, my love.” Leaving Christabel with Noémie, Pankhurst returned immediately to England. On 5 July, while on a train from London to Manchester, she noticed a newspaper announcing the death of Richard Pankhurst. I believe that, had he lived, Richard would have been very proud of everything that his wife subsequently achieved (see here for more details). 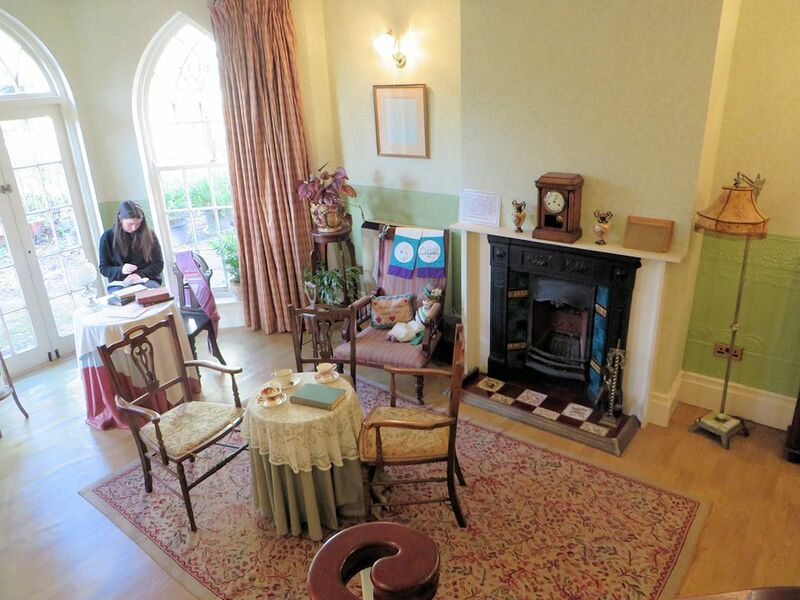 Whilst researching a property known as The Rookery, in Nantwich, I found a Mary Pankhurst. Mary was a daughter of Francis James Pankhurst, Richard’s grandfather. She was a governess to John Jasper Garnett. This site tells us us that she was described as a a “regular nuisance” to the children, as well as a paramour to both John Jasper Garnett and later to the children’s cousin, John Edward Richardson (from whom she swindled large sums of money and property)! Another child in that family, was William Horatio Pankhurst. He was a colour maker in Hope Street, Hanley. On the 9th March, 1852, he was tried in Staffordshire for “Feloniously receiving stolen goods” and sentenced to transportation for 14 years. He died in Dartmoor Prison. 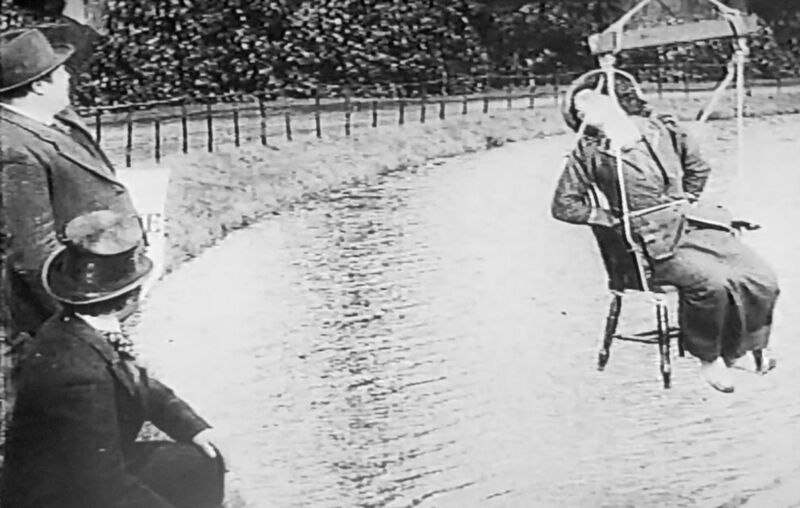 shows a suffragette in a ducking stool, and helps explain to me how bad things were in our relatively recent history!